Cumulus Media has appointed John Kaufman as Senior Vice President, Revenue Strategy and Operations. In the newly-created position, Kaufman will lead the optimization of revenue at Cumulus with a focus on pricing and inventory management across the network and radio station groups. Kaufman joined Cumulus after 20-plus years in revenue management positions in the travel and hospitality industry, including Executive Vice President of Revenue Management and Electronic Marketing at Extended Stay Hotels, and Vice President of Global Revenue Management at Starwood Hotels and Resorts. He joined iHeartMedia/Clear Channel in 2009 as Senior Vice President, Revenue Management, and advanced to President of Business Operations for the company. In 2014, he started his consultancy, JK Steele Consulting, LLC, and helped launch the start-up company Spaces (ParcMate) in 2015 as President and Chief Operating Officer. 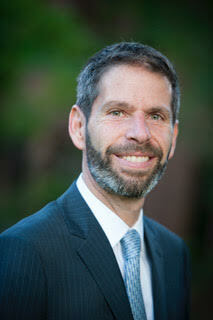 Kaufman holds a BA degree from Cornell University and an MBA from Duke University’s Fuqua School of Business. “Seeing all the great change underway at Cumulus, I am so pleased to be joining Mary and her leadership team at this exciting time, and look forward to helping the company continue in its evolution,” said Kaufman of the new role. He will be based in New York and will report to Berner.